Leider sehr schlechte Nachrichten. 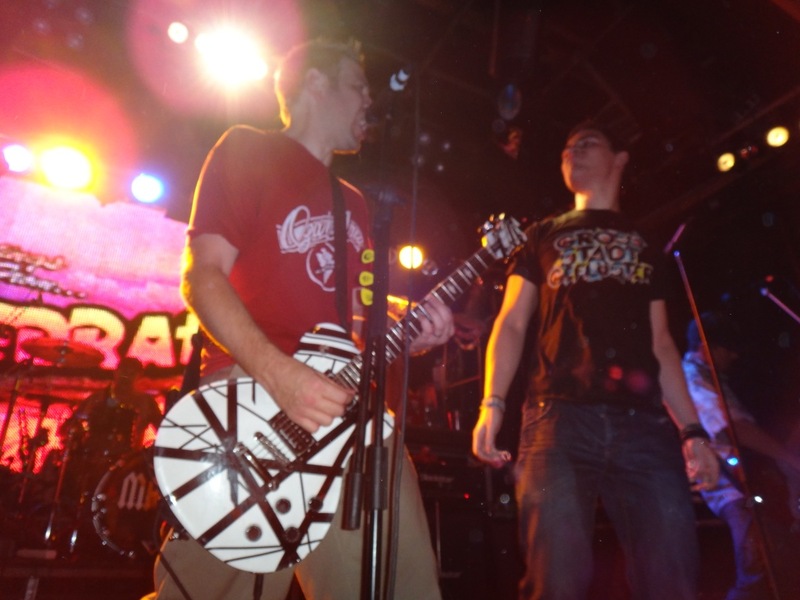 Greg Bergdorf verlässt Zebrahead. Als Grund nennt er u.a. seine Tochter Audrey. Verständlich, dass er keine Sekunde aus ihrem Leben verpassen möchte! Greg, wir wünschen dir & deiner Familie alles Gute, vielleicht gibt’s irgendwann mal ein Comeback – wir werden uns freuen! Hey Guys and Gals…The rumors are true…On this festive day of party song clips and album artwork covers also comes some bummer news. 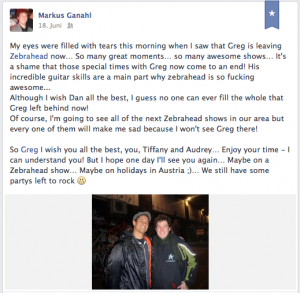 Greg, our dear friend and guitar player, has decided to exit the Zebrahead train. As most of you know, Greg has a young daughter and family at home in Atlanta. And, being away from them all the time is just too tough. We completely understand and support his decision. Being a dad is the most important mission anyone can have. 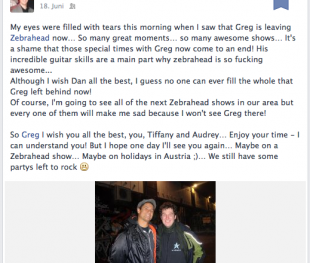 Greg will always be a part of the Zebrahead family…we love him…and we will miss him!!!!!!!!!!! But with this sad news comes something to celebrate – Dan from Death By Stereo has jumped aboard! 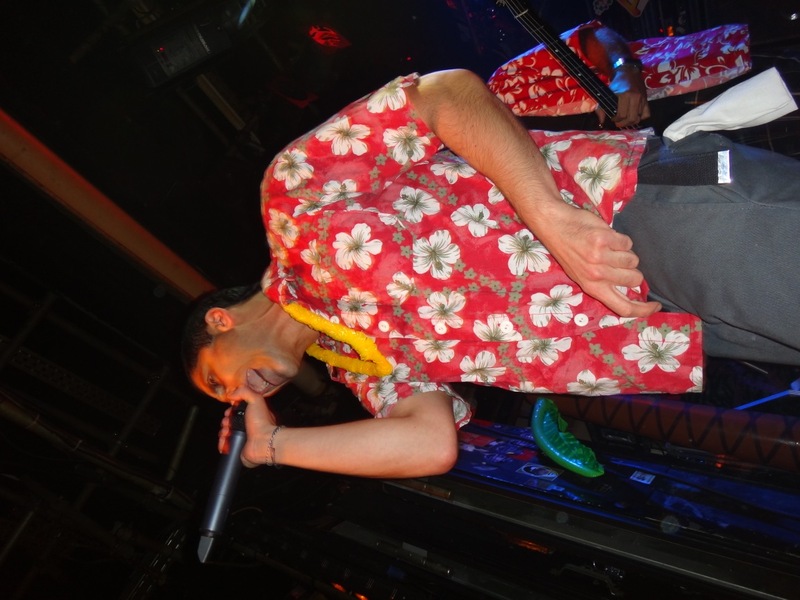 Many of you have seen Dan’s shredding skills while filling in for Greg on a couple Zebrahead tours and we’ve given you just a quick sample of his work in the recent sneak peeks. But, if you have any doubts about Dan’s ability to fill Greg’s very big shoes, we think you’ll be blown away when you hear him on the new album. Please help us welcome Dan into the MFZB family and let Greg know he will be missed.